IC 24C64, 64 Kbit Serial I²C Bus EEPROM, SO8 IC 24C64, 64 Kbit Serial I²C Bus EEPROM, SO8. IC 24C32, 32 K 5.0 V I2C Smart Serial EEPROM, SO8 Integrated circuit 24C32, 32 K 5.0 V I2C Smart Serial EEPROM, SO8. 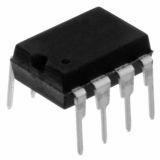 IC HM-6514, 1024x4 bit CMOS RAM, DIP18 IC HM-6514, 1024x4 bit CMOS RAM, DIP18. IC 24C01, 2-Wire Serial EEPROM 1K (128 x 8), DIP8 IC 24C01, 2-Wire Serial EEPROM 1K (128 x 8), DIP8. M24C02-WMN6P, SERIAL 2K (256 x 8) EEPROM, SO8 Integrated circuit M24C02-WMN6P, SERIAL 2K (256 x 8) EEPROM, SO8. 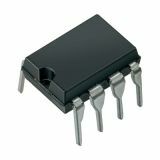 Integral circuit 24C02C-I/P, 2kbit, DIP8, 400kHz, I2C, 0.001s 24C02C-I / P ICs of EEPROM type with 2kbit memory capacity, I2C interface and 256x8bit memory organization. 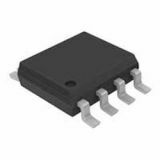 Integral circuit 24LC08B-I/P, 8kbit, DIP8, 400kHz, I2C, 0.005s 24LC08B-I / P ICs of EEPROM with memory capacity 8kbit, I2C interface and memory organization 4x256kx8bit. List Price 1.50лв. VAT Incl. 1.35лв. VAT Incl. 1.20лв. VAT Incl. 1.05лв. VAT Incl. 0.90лв. VAT Incl. IC 24C128, 2-Wire Serial EEPROMs 128 K (16,384 x 8), DIP8 Integrated circuit 24C128, 2-Wire Serial EEPROMs 128K (16,384 x 8), DIP8. IC M24C16-WMN6P, 16 Kbit Serial I2 C Bus EEPROM with User-Defined Block Write Protection, SO8 IC M24C16-WMN6P, 16 Kbit Serial I2 C Bus EEPROM with User-Defined Block Write Protection, SO8. IC 24C16, 16 Kbit Serial I2 C Bus EEPROM with User-Defined Block Write Protection, DIP8 IC 24C16, 16 Kbit Serial I2 C Bus EEPROM with User-Defined Block Write Protection, DIP8. IC 24C256, 2-Wire Serial EEPROM 256K (32,768 x 8), DIP8 Integrated circuit 24C256, 2-Wire Serial EEPROM 256K (32,768 x 8), DIP8. IC 24C32, 32 K 5.0 V I2C Smart Serial EEPROM, DIP8 Integrated circuit 24C32, 32 K 5.0 V I2C Smart Serial EEPROM, DIP8. 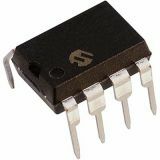 Integrated Circuit M24C64-WBN6P, Memory, 64Kbit Serial I²C Bus EEPROM, DIP8 M24C64-WBN6P, 64 Kbit Serial I²C Bus EEPROM, DIP8. IC 93C06, 256 bit SERIAL MICROWIRE EEPROM Integrated circuit 93C06, 256 bit SERIAL MICROWIRE EEPROM.